Competitively Priced Used Pallet Rack, Cantilever Rack, Shelving, Accessories and More! 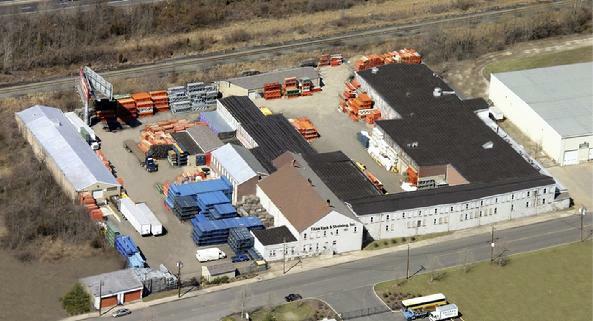 Welcome to Titan Rack & Shelving, a leading Material Handling Company on the East Coast specializing in the purchase and sale of used warehouse equipment. Titan Rack maintains several thousands of sections of used racking ready to ship from its 100,000 square foot facility in Trenton, New Jersey. Titan Rack has the experience to perform anything from a small addition/subtraction of existing rack to a relocation or a turn-key solution for the closure of any size distribution facility. Feel free to contact us for more information or drop by our warehouse and take a look around. Visit our contact page for directions and local weather information. • WIRE DECKS W/AND W/OUT FLANGE • CAROUSELS • ASSORTED STEP LADDERS • FLAT CARTS • SHOPPING CARTS • PALLET RACK • ACCESSORIES & MORE ! Y O U R S U R P L U S ! There are no quantities too large or material conditions too poor! We will look at your material free of charge. Do you know of a warehouse that is closing/relocating? Contact us to learn how a phone call can turn into CASH in your pocket!